Whether stretched beyond the realms of fact and fiction or not, the many travails of Willis Earl Beal fit the outsider artist profile perfectly. With more deaths/rebirths than the Dali Lama’s had reincarnations, Beal’s self-made and put-upon myth status as the Zorro masked articulate esoteric blues and soul poet, only reinforces the mystery that surrounds him. Hardly the result of an easy life – one that’s seen him grow up in a sort of odd isolation, plagued by both physical and mental health; a consequence in no small part of his injuries sustained when trying out for the army. His musical epiphany arrived whilst down-and-out in Albuquerque, New Mexico. The untrained, and at one time homeless, but naturally gifted songwriter recorded the rawest of lo fi tracks, leaving them with his hand drawn cover art at various coffee shops around town, alongside flyers seeking a girlfriend with his phone number written on them. These unassuming offerings eventually made their way onto the cover of Found Magazine in America and from there, fell into the hands of XL Recordings Jamie-James Medina. 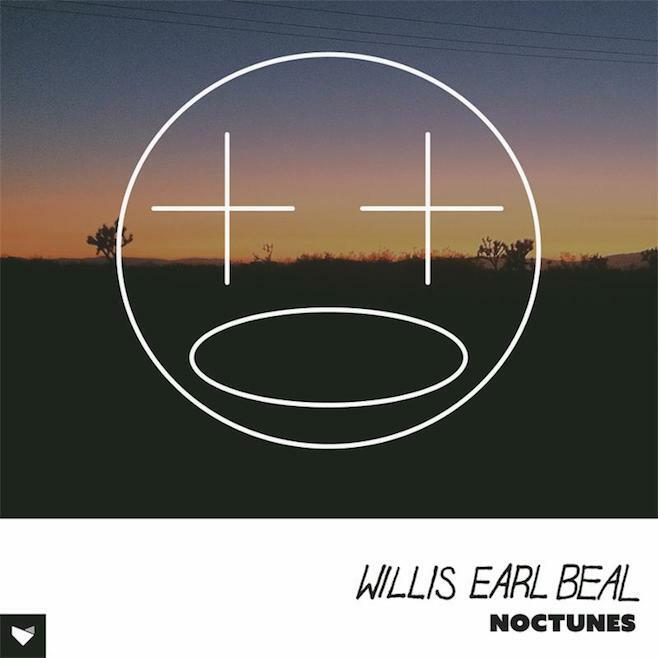 Originally signing to the labels Bronx-based offshoot Hot Charity, releasing two well-received albums – his debut Acousmatic Sorcery in 2012 and Nobody Knows follow up in 2013 – Beal succumbed to either ennui, despondency or the pressures of suddenly being foisted into the music business and quit. Beal slopped off into a self-imposed exile in the backwoods of Olympia, Washington, and became the Noctunes crooner. As the title suggests – a riff on nocturnes – these twelve nocturnal lullabies, paeans and plaintive ballads evoke the romantic nighttime meditations. Stripped to the barest of accompaniments, yearningly swooning with the occasional burst of a drawn-out primal scream, high notes and pained wallowing, Beal creates a haunted soundtrack. Part southern river ambient journey, part soul-baring soliloquy. Once again dodging definition, he takes the mournful strings and suffused hymn like aspects of his previous recordings and ditches the bounce and R&B elements for minimalism. Still channeling Otis Redding with a side order of Bill Withers and echoing traces of TV On The Radio’s most dilatory maladies, Noctunes is, when prescribed in small doses, a visceral stirring experience. Choosing to say more with a lot less, lyrics, which if uttered by many other artists would sound like mere platitudes, are given a gut-wrenching and despondent leverage when leaving Beal’s lips. Often draining, and at times laying it on a bit too thick, the album’s impact can be enervated when digested in one session. Lingering manifestations rather than epiphanies, it feels like our protagonist is unburdening his heart. A tough call on paper, yet the bare faint undertones of funeral parlor organ, stuttering jazz style drums, murmuring hums and synth lift the songs gently above morose and indulgence.